I had a pretty swell day today. I had a group interview for a job at QPAC. Contrary to my expectations it was actually a pretty fun experience. There were about 20 of us and we all started out together in a large foyer area just waiting around. The tension was beautiful. For some reason it gave me a great pleasure to look around and watch everyone watching everyone else. It's an interesting scenario - the group interview. So anyway we all stood around looking at each other pretending to be friendly whilst (at least subconsciously) sizing up our opposition. It was great. Once we got started it was revealed that we would participate in a few group activities. These were the type of thing that you can probably remember doing in primary school, i.e. building a tower out of newspaper (no really, we did that). It was, quite honestly, the most enjoyable job interview I've ever had. Sure, everyone knows that you've got your potential employers watching over you to see whether you decide to hog the sticky tape but nobody really minded. I was fun. To make it better there I also developed a bit of an infatuation with one of the other applicants (not that she'd know it given the 5-6 words I spoke to her all day). I really hope that we both get the job so that I can actually have a chance to talk to her. So job prospects are looking up. 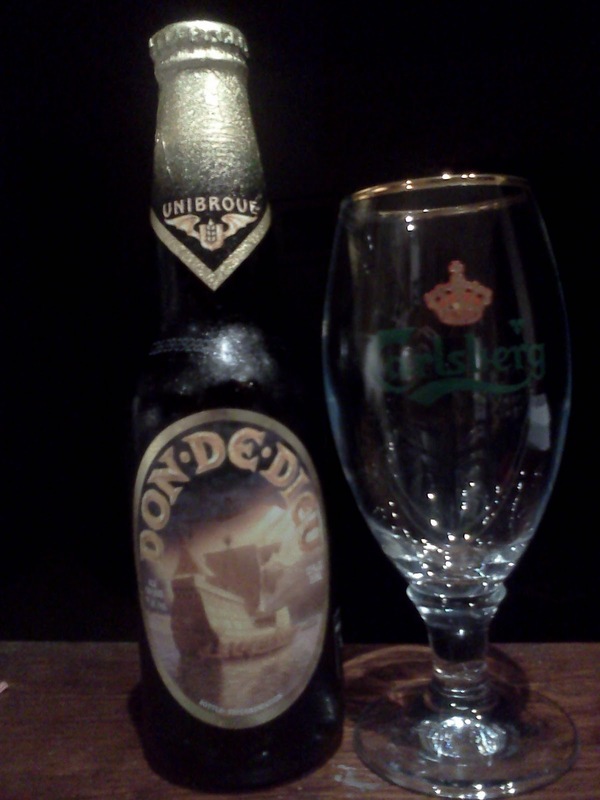 Now I'm at home, eating some potato and parsnip soup I made and drinking one of my top 5 favorite beers - Don De Dieu. It is pretty incredible. I'm feeling pretty chuffed.